A new season couldn’t have started better for the Engineers. After back-to-back washouts of the practice matches, Engineers set out for their first serious match with only a couple of net sessions behind them but those sessions turned out to be good enough to beat the Kytes, though the Engineers new captain would have liked a much better performance from his batsmen. 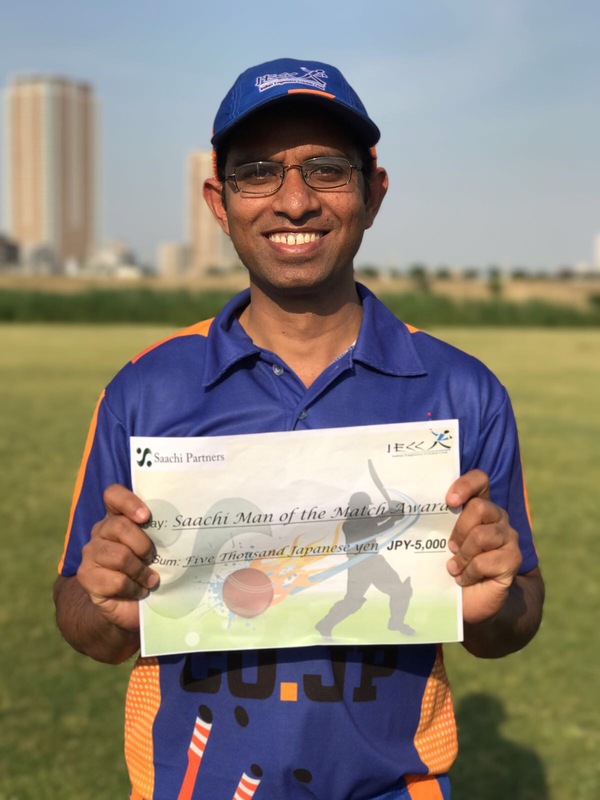 The coin was tossed on time – thanks to the Kytes who had laid out the pitch before the Engineers arrived – Kytes skipper called it right and gave the Engineers what they wanted – fielding, much to the disappointment of the most vociferous (and noisy) advocate of batting first, Ritesh Kakkar. Joel and Todd opened the innings for the Kytes facing Anurag and this writer. The Kytes did not seem to be interested in scoring any runs as a vast majority of their runs came from extras. After 6 overs the Kytes scoreboard looked 1/14 with yours truly surprising himself with a bowling analysis at one stage having 3.4-2-1-1. Joel Chamberlain was the batsman out in the 4th over of the match, clean bowled after surviving a very close LBW shout in the previous delivery. Arbab replaced Joel and started jittery but settled down quickly with singles. No threats from Kytes so far as they progressed at a Test match run rate. After Dinesh had opener Todd caught at cover off an intelligently bowled slower one, his replacement Sharpe did not last long as he was caught at cover by Anurag off Ritesh, a decision that left the batsman fuming, as he thought it was a bump ball. Larry came, consumed 17 balls to for a score of 6 and the fall of Larry brought Abbot. 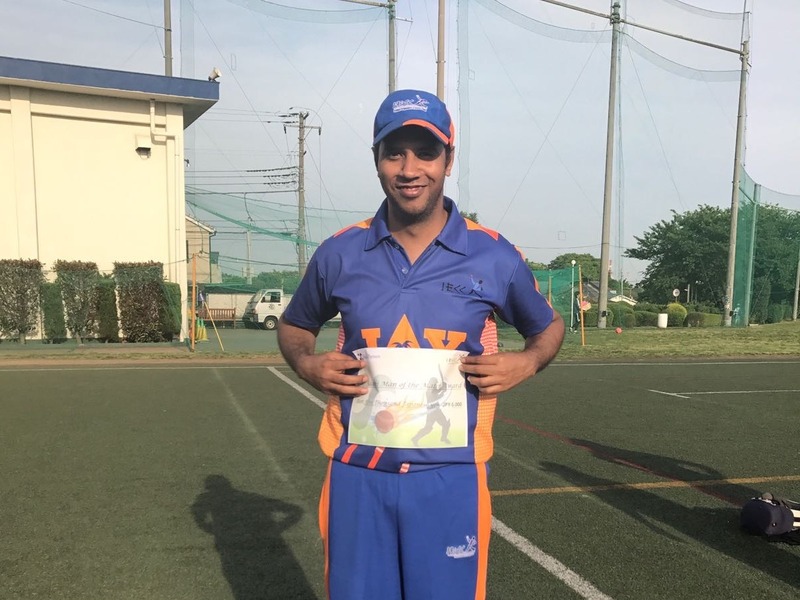 But he didn’t last either and fell to Anurag for 5 and the batsmen left screaming and cursing as if a well set batsman getting out to a careless shot. That brought skipper Neil with his bat thicker than Sharpe’s thigh muscle and scored runs at a good pace. Arbab, meanwhile, at the other end continued to play his shots, with the Engineers skipper Sanjeeb bearing the brunt of his attack. Sanjeeb went for 22 runs in his first over, all by Arbab and the batsman completed his 50 in that process. Sanjeeb, however, had the last laugh, having him caught at long on by Bobby – an excellent running catch that was but not before flooring a similar one in the previous over. That brought the last man, Robert-Gills Martineau for company for Neil. Sanjeeb then brought your reporter to cleanup the Kytes tail, which prompted the umpire Anton McCloy to take out his pocket calculator to calculate the combined age of the two batsmen, bowler and the umpire himself. A combined experience of 200 years on the field at the same time! Oh, KCL you are the winner! When Sanjeeb had RGM LBW, the Kyes had scored 138, thanks to Arabab and Wides(38). In the beginning, a target of 139 looked easy as long as the usual crumble didn’t happen and it didn’t to a certain extend. Opener Masood had held fort at one end with a solid 21 off 55 balls when wickets went cheaply at the other end. The Engineers did have a scare with the score at 6/91 when Bobby fell for a 17 ball 10, after a partnership of 21 with the come back boy Dinesh Singh. 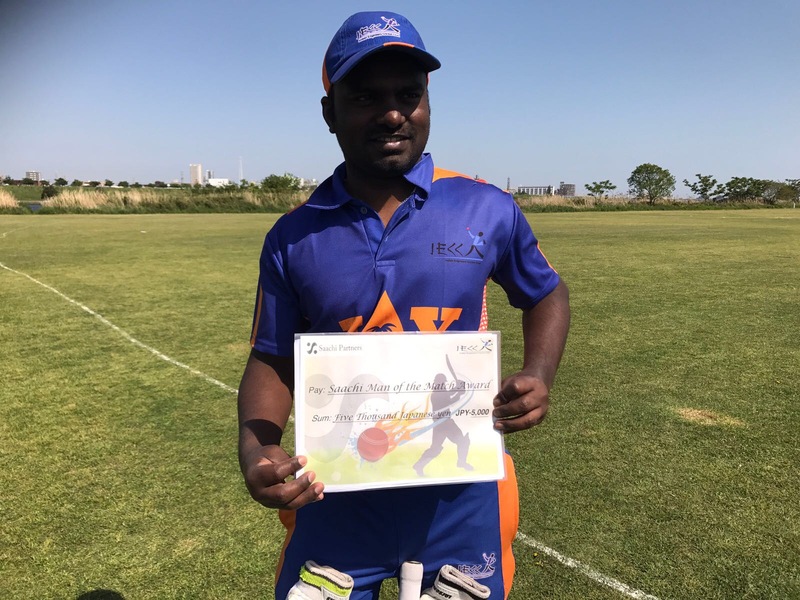 Ritesh joined Dinesh and the duo then set about scoring without resorting to any rash shots and put up a 39 runs partnership to sail the Engineers safe. Dinesh fell for a stroke filled 23(2×4, 1×6) when 10 runs required for the victory, which the next batsman Anurag and Ritesh completed in the 34th over, dashing the Kytes hope of a victory against the Engineers for which they had brought back the last successful captain against the Engineers, who had abdicated his duty two years ago. Over all, the game was good, it was nice to see the old man on the field with a dead bat, ordering a mortuary like silence on the filed when he faced the bowler, walking away when the sound of the bowler’s foot steps distracted his intense focus. Thank you Kytes for the good lunch! Brief scores: S Kytes 138(35.3 ov) A Mohammed 57, S Sahoo 3/31 IECC 139/7(33.5 ov). D Singh 23, S Navod 4/37.